DRIVERS – Romain Grosjean (Lotus), Sergio Pérez (Force India), Valtteri Bottas (Williams), Roberto Merhi (Manor), Pastor Maldonado (Lotus), Felipe Nasr (Sauber). Q: Let’s start with you Romain, back on the podium this year. Do you see many opportunities for getting up there again in the remaining races of 2015. Romain GROSJEAN: Well, let’s put it this way: we didn’t think any podium was possible this year – we did it. So, yeah, I think we’re always eager for more, always trying to do our best. Spa was a beautiful opportunity for us and hopefully there will be much more coming. The best we can do is try to work hard and do the same. Q: Looking ahead to 2016, your thoughts on that? Obviously you’re wanting to see what’s going to happen with Renault and the Lotus deal that’s been discussed a lot – but if that didn’t happen, would you consider… your name has been linked with the Haas team, for example, is that something you would consider. RG: I think the other thing I can tell you is that my decision is… I’ve made my decision, everything is clear in my head and I know what’s going to happen for me in the future – but if you don’t mind I won’t tell you any more. Q: Sergio, coming to you, on the same topic of 2016, Robert Fernley in the press conference in Monza alluded to the fact he was hoping to conclude things with you for next year by Singapore. Have you got any progress report? Sergio PÉREZ: Yeah, definitely progress has been made but we are not yet in a position to announce anything. SP: Yeah, definitely. I’m really optimistic. As you say, we’ve had a really good run up until now and hopefully we can continue. The car is improving. We just getting better and better so hopefully we can have a strong finish again. As you say, every race I have done here I’ve been into the points. I hope I make it again and in a better position. Q: Valtteri, your 50th grand prix start this weekend. The result in Italy was your best for some time. I guess from the outside one might say that this season has been something of a missed opportunity for Williams in one sense: a struggle for consistency. Is that your assessment as well, or are you please with what’s been done? Valtteri BOTTAS: Well I have to say I’m not really that pleased for the results. Of course we aim to make a step forward. I think we’ve improved from last year but, compared to others, not really. So, as a team, I think everyone in the team is expecting more and we are aiming to do better in the future and obviously I’m staying with the team so it’s very nice to start building from this because I still think we’re not yet at a peak and we can definitely do better. From my side also, it’s been a very mixed season. A lot of things have not been going to my side, so unlucky races, unlucky results. That’s how it is sometimes. Always need to look forward. Q: You mentioned you are confirmed already for 2016 so what are you telling the team you want for next season to kick on from where you are now. VB: Downforce! And power! That’s what keeps you going. I think as a team we really need to improve in all areas like we’ve seen we’ve had quite a few issues still with pitstops and some mistakes from us, as a team. We’re still just getting stronger in all areas. Unfortunately, sometimes the way to improve is to do that mistake and then learn from it. I’m sure that soon there will be no more mistakes we can do. We can always just make sure we learn from those and improve. Like I said before, I think we definitely can be stronger than this year. Q: Roberto, the news that you’re driving two more races for the rest of 2015, shared with Alexander Rossi. Can you explain the situation to us. Roberto MERHI: At the beginning of the year when I came to Melbourne with Manor, they gave me a great chance to be part of the team and to be a driver of the team but for sure I didn’t know how long it was going to end up. At least I did 12 races, that is really good, I think, for a driver in Formula One that is quite difficult. And they gave me a good chance to be there in the car for 12 races and I want to say thank you for them but obviously I think they have taken a decision that is better for the team in a long-term result. We hope that I am still competitive for the last two races I have this year and I will try to prepare now all the weekends that I go together with the team, from now to the end of the year, and try to improve and learn as much as I can, to get ready for the race in Sochi and in Abu Dhabi. Q: The team’s been doing some wind tunnel development work. Is this with an eye on 2016 as much as on 2015 do you think? RM: The main focus already is on the new car in ’16 because now it’s quite the end of the year and for sure the target for the team is next year to be a competitive team fighting for a good result, for points and I’ve sure they’re going to achieve. And yes, sure, I think they’re trying to put all of their effort into 2016. It’s the best thing to do for them and is the thing they are doing. Q: Pastor, happy memories of qualifying second here back in 2012 but this year, astonishing record, you’ve retired from eight out of the 12 races and on many occasions you’ve been the first car to go out. How much bad luck can one man have? What’s been going on? Pastor MALDONADO: We’ve been having a bit of problems and yeah, it was not, maybe from the really beginning of the season, the best start for us even if we improve the car compared to last year. It is how it is. We cannot change the past, we just need to work harder for the future and try to get better and better every race. Q: As discussed with Romain a minute ago, there’s obviously a lot of discussion around your team for next season, possible Renault takeover. How are you approaching discussions on next season? Do you think you’ll still be racing with this team in 2016? PM: I hope so. We’ll see. Q: Felipe, Sauber has been slightly more competitive in the last few races, qualifying just outside the top ten, consecutive points results. What’s been going on, on the technical side, that’s facilitated this? Felipe NASR: Well actually I think the last few races it was clearly some circuits that was coming more to our, let’s say, advantage, looking to our car and how it performs. I think those races, they clearly helped us in some ways – the likes of Spa and Monza – by having the long straights. Unfortunately I had bad luck in these last three events. If you look back at Monza, I started just outside the top ten, was running into the top ten into the early laps and then I got a puncture. It’s one of the missed opportunities but this is racing. Sometimes it goes like this, so I wasn’t able to get the points out there but this weekend we’ve got something to look forward. It’s our first proper update in the year, since Australia, so we’re getting the car all around being updated. It’s one to look forward. Q: Same question I put to Valtteri a moment ago, you’re already confirmed for next season. What are you telling the team? Your objectives for next year – what are you asking for? FN: Well basically what we’re having now, this update, it will important to validate these numbers on track and this will guide us for the 2016 car. We know the areas we have to improve. It’s all-around improvement, mainly on downforce I would say but it’s not like a specific point, it’s a general overview of the package. This weekend and how we take it onwards to the end of the season will be important to understand how the car is reacting. Q: (Manuel Franco – Diario AS) Questions for Roberto: the first one is how Manor told you that you will not drive in this race and the second question is what options you have for next season? RM: Obviously I came here… I flew on Monday and when I arrived the team give me the news that I would not be driving and Rossi would be in my place for the four or five races of the remaining seven. For next season, we still don’t know yet. We are looking for a Formula One seat and we will try to find the best option possible but obviously these days I think a budget is really important and at the moment it’s hard to find. Q: (Heikki Kulta – Turun Sanomat) Valtteri, never points for you in Monaco or in Singapore; are street circuits some kind of weak point for your team? VB: No, we’re going to fix it this weekend. Definitely. Monaco was a big struggle last year and this year and Singapore – I think we’re going for points, we were trying for a mega-long stint to keep the position last year and then in the end my tyres were finished and I think it was on the last lap I dropped out of the points. It is possible to get points and for sure maybe the luck has not been on our side but we need to improve the car so that it’s also quick in these kind of places. Actually we do have some updates on the car here for the front wing and for the rear brake ducts so it’s there and hopefully those create a bit more downforce. Q: (Dan Knutson – Auto Action and SpeedSport Magazines) Sergio, in Monza you told us you were getting quite close to a deal with Force India. Are you any closer to finalising things? DK: Yeah, I think we are just in the final bit. I hope very soon we can finalise everything. The team is happy to keep me and I’m happy to stay so I see no reason why it shouldn’t happen soon. Q: (David Croft – Sky Sports F1) Pastor, James mentioned your run of bad luck this season. 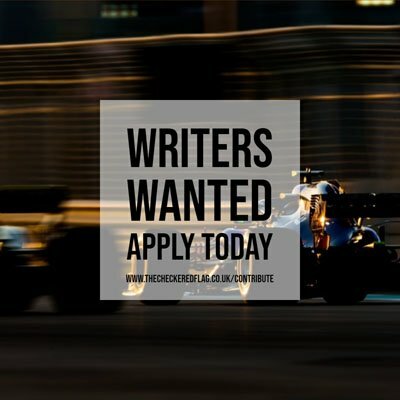 Given that there isn’t a huge amount of run-off at Singapore and I don’t imagine there’s a huge amount of spares at the Lotus team this weekend either, is this a weekend for caution to be exercised or will you be giving it full beans as you often do on street circuits and often to great effect as well? How do you approach this weekend? You’re a very good street circuit racer but do you need to back off a little bit? PM: I think we need to approach the weekend as normal. We are looking forward to doing our best and to get what we deserve is to push very hard and to try to put the car in the best position we can. Q: (Dan Knutson – Auto Action and SpeedSport Magazines) Romain, we go to two very different circuits: Monza, high speed, almost no downforce; here, a lot of downforce. How do you switch gears as a driver and is one track more difficult to the other or is it just a different challenge? RG: I think it’s a different challenge. Most of the people think Monza is fairly simple, it’s a straight line and chicanes and another straightline and then a chicane, but it’s quite hard to keep the rhythm in the car and braking in the right place and then taking the corner well. You kind of lose concentration in a straight line and then you come back whereas here is more intense. The first sector is quite long and fine but then you get to sector three where it’s corner after corner, where you need to think about your rear tyres, your braking point, the throttle is a big issue and you slip and so on so they are both very challenging in different ways but I don’t think there are any tracks which are easy nowadays in Formula One. Q: (Ben Edwards – BBC TV) This could be a question for anyone, but Valtteri, maybe I could ask you: is there any further understanding from your point of view about Pirelli tyre pressure checks? Have you talked to the team about what might be different in terms of procedure this weekend and is there anything there? VB: Not really fully aware of what’s been decided. I heard something had been decided but I’m not sure. Q: Have any of the other drivers already had a briefing ahead of that, can you add anything on the tyre pressures? Sergio? SP: All I know is that the FIA is thinking of changing the procedure but we will have more information as a team about that. Q: (S’. Dipak Ragav – The Hindu) Sergio, you are now 13 points ahead of Lotus and I believe you have an update package for here and one more at Mexico. Do you think this is Force India’s best chance of finishing fifth in the Constructors’ title, considering McLaren’s troubles this year? How confident are you? SP: Yes, definitely. I think we are already fifth. I mean 13 points is nothing, really. It can change from one weekend to another. It’s not like we have a huge advantage. I think we are obviously going to fight really closely with Lotus. Toro Rosso are also in contention. The next one is 50 points ahead which is Red Bull and as well, if we have two good weekends and they go back then there’s every opportunity for us to do even better so right now, what we can do is just maximise everything with both cars and try to score as many points as possible with both cars.